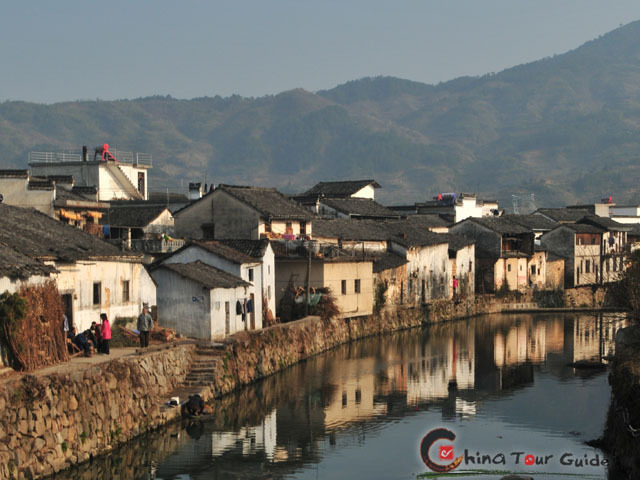 The beautiful mountains and rivers of ancient Huangshan were the home of many wealthy merchants (named Hui Merchants in the old time) and powerful families, forming part of a flourishing Huizhou culture. 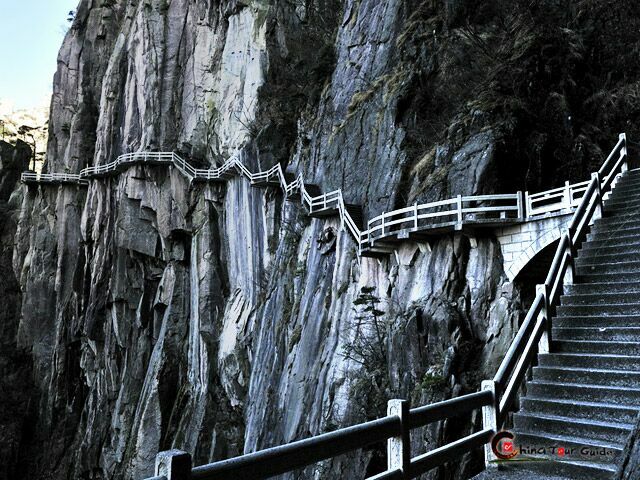 Because of the natural geographic boundaries, people from the Huangshan area have been able to mostly maintain their distinct customs and folk traditions. 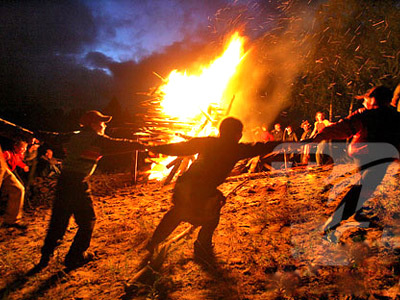 Traditional festivals make up a very important part of the local culture. On the day of Lixia (a lunar day to mark the beginning of summer, sowing time for farmers), people get together to indulge themselves in feasts, believing that this will signify a bumper harvest and a full stomach for the next year. To mark the beginning of the festival, local people boil eggs and smash them on their house threshold as a sacrifice to the God of Door. Breakfast itself is the most important part of the festival and features fried rice with eggs and Chinese chives, symbols denoting permanent happiness. 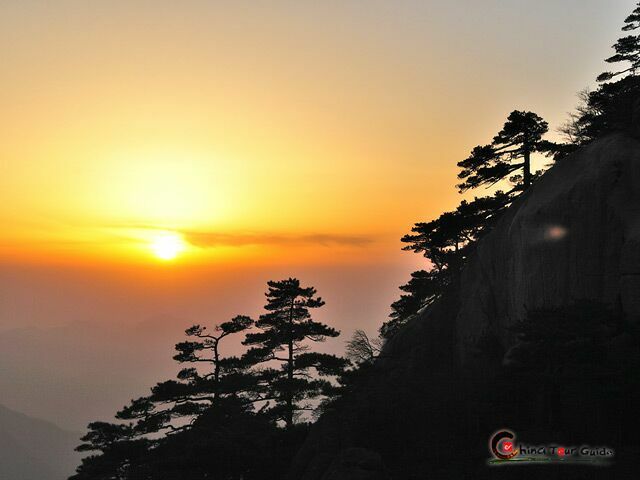 The Hui Opera from the Huangshan area has been established for more than 300 years and is one of the oldest and most respected opera styles in China. It is a predecessor of the famous Peking National Opera. Its stage art is rich and varied, and the costumes are simple and of good taste. Visitors can go to a local tea house to enjoy the noted opera performance while sipping on a cup of steaming tea. The Spring Festival is another major celebration. Besides eating, folk recreations play a major role in the festivities. These include: dragon dance, lion dance, folk art parade, fish-lantern dance, lantern-boat dance, triumph drum dance, and fireworks. The folk art parade is the most popular performance. It is a striking scene where the stage for performances is carried by grown-ups and the children actors and actresses leap and dance as the stage moves through the town. All participants are dressed in colorful traditional costumes. The cheering crowds along the parade route contribute to the excitement. It is a vivid cultural experience well worth the trip. 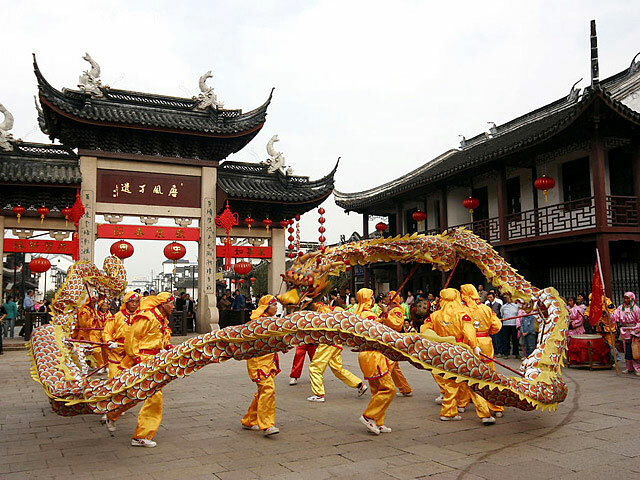 The dragon dance performed in the area is different from those of other places -- the Huangshan "dragon" is made up of benches decorated with lanterns. Because it was inconvenient for the scattered inhabitants of the mountain region to get together to make and keep a public dragon, the bench dragon was invented by linking benches together. On the day of the dance, households each bring their own bench to form part of the dragon. Men from every family take part in the show, one man holding one bench, with the dragons sometimes consisting of as many as one hundred benches. This is a dramatic display of unity and cooperation. The dragon is carried along a mountain path as if snaking up the hillside and the lanterns shine like fire in the dark.